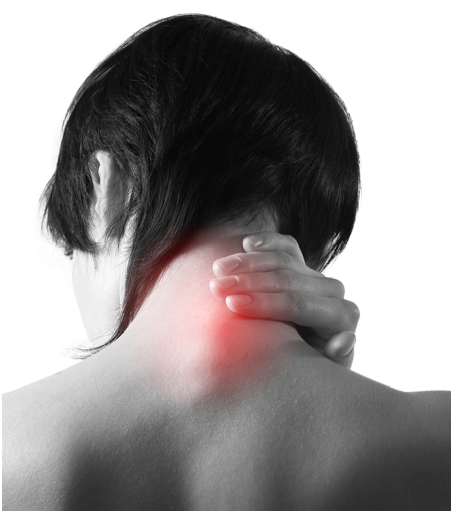 Neck pain is a common condition, and may be the result of a variety of different causes. Neck pain may arise from injuries to the structures of the neck, such as muscles, nerves, bones and intervertebral discs. Muscle strain from overuse, worn-out joints, compressed nerves, injuries to the spine and head, and diseases such as arthritis, meningitis and cancer—are some possible causes of neck pain. Your doctor may request imaging tests, such as X-ray, computerized tomography (CT) and magnetic resonance imaging (MRI), to identify underlying structural abnormalities. Nerve electromyography (EMG) test can be used to identify neck pain originating from the compression of nerves. Blood tests can be performed to detect the presence of inflammatory and infectious conditions. Finally, a spinal tap can be used to test for meningitis. Neck pain generally tends to subside with self-care measures, such as rest, over-the-counter pain medications (e.g. ibuprofen, acetaminophen), gentle stretching and the applications of heat and cold. Stronger pain medicine may be required for severe pain symptoms. Muscle relaxants and tricyclic antidepressants may also alleviate the pain. Short-term immobilization of the neck using collar may help in some case. Another approach is to apply traction using weights and pulleys to stretch and immobilize the neck. This type of therapy is especially beneficial for neck pain due to nerve root irritation. Steroid injections can be given near nerve roots, facet joints of the cervical spine, or neck muscles to control neck pain. However, the long-term use of these medications is not advisable due to side effects. Although surgery is not essential for the relief of most neck pain cases, it may be required to reduce nerve compression. Unlike embryonic stem cells, which is a controversial topic, adult stem cells used in our clinic can be derived from the patient’s bone marrow or fat deposit. Commonly, bone marrow from the iliac crest bone is used to obtain stem cells from the patient. The concentrated stem cells are then injected at the site of injury to promote repair and regeneration of tissue. Platelet-rich plasma (PRP) can also be obtained from the patient’s blood, and injected along with the stem cells. It is known that PRP helps stimulate stem cells to start the repair process. Ultrasound guidance is employed to precisely deliver the stem cell mixture at the site. Stem cell therapy and PRP therapy can be performed as an outpatient procedure. Compared with surgical interventions that are associated with long recovery times, stem cell therapy promotes natural healing with no down time. Moreover, unlike steroid injections with detrimental side effects, stem cell injection is well-tolerated in patients. Karussis D, Karageorgiou C, Vaknin-Dembinsky A, et al. Safety and immunological effects of mesenchymal stem cell transplantation in patients with multiple sclerosis and amyotrophic lateral sclerosis. Arch Neurol. 2010;67(10):1187-1194. 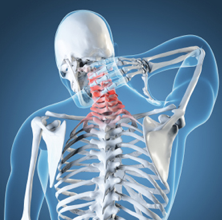 CALL R3 STEM CELL CLINICS TO OBTAIN AN EVALUATION OF YOUR NECK PAIN FOR STEM CELL THERAPY. R3 STEM CELL OFFERS LOCATIONS CONVENIENT FOR TREATMENT WITH BOARD CERTIFIED DOCTORS! CALL (844) GET-STEM TODAY.